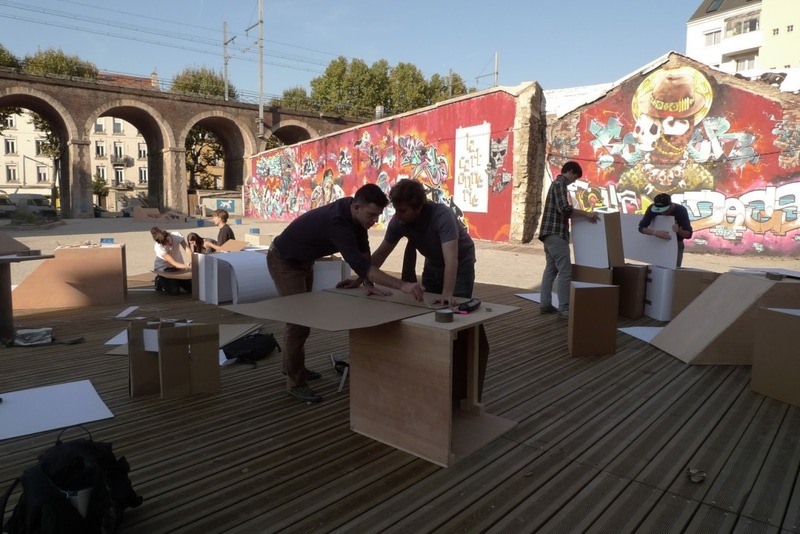 CARTON PLEIN association was formed at the instigation of EPASE in October 2010, around the conception by episode of temporary and experimental public space of 2000m2 : La Cartonnerie. Became playground many stakeholders (universities, developers, neighbors, professionals designing public space, associations, companies, etc. ), La Cartonnerie offer a working place to collective projects, multidisciplinary and anchored in the city. This unique public space has became a place of experimentation, a living place where successive workshops, games, arts broadcasts, residences, mixed with various events of the site and its many users. To form an associative dynamic by developing the power to act Citizen. To open the fabric of the city and the conception of public spaces for citizens by inventing tools and forms of mediation. To participate in the invention of new models of urbanity .